Hung-over spring stretches its limbs while still in bed, whereas the travel bug is already waiting in the doorframe all set and packed. Th.. 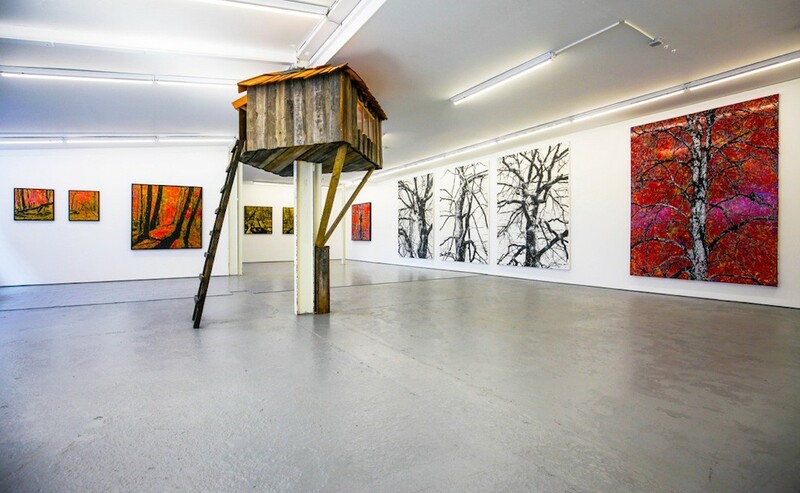 This little indoor-treehouse is part of the solo-show “from the rooftop”, featuring works from Jan Davidoff. Matching the themes of the pa.. 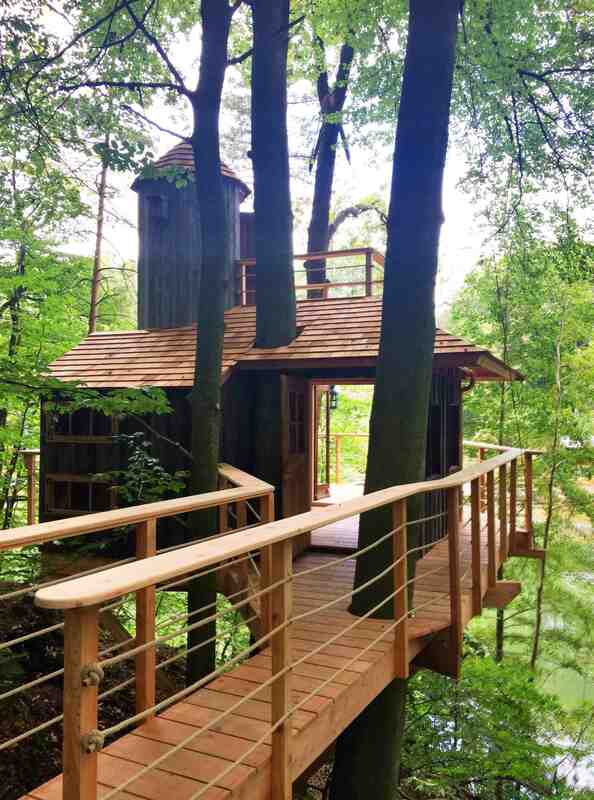 Emerged from the collaboration of a small group of arborists, architects, biologists and engineers from Belgium, this treehouse seems to h.. 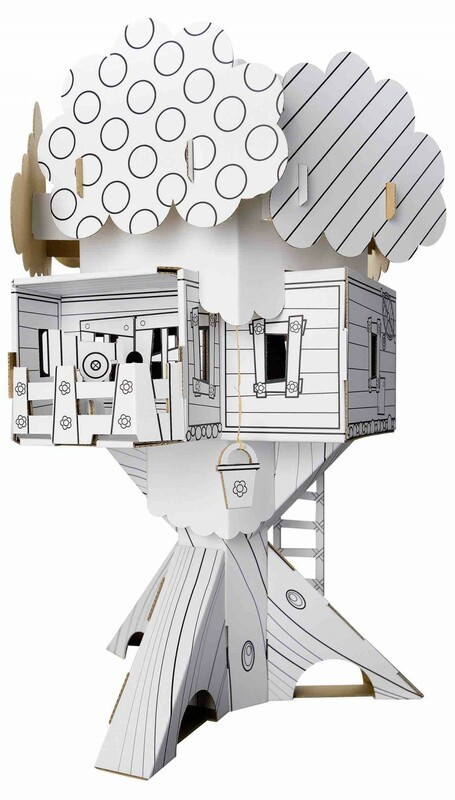 These beautiful miniature treehouses from CALAFANT made of cardboard are suited to bridge the time to the kids first very own treehouse in.. 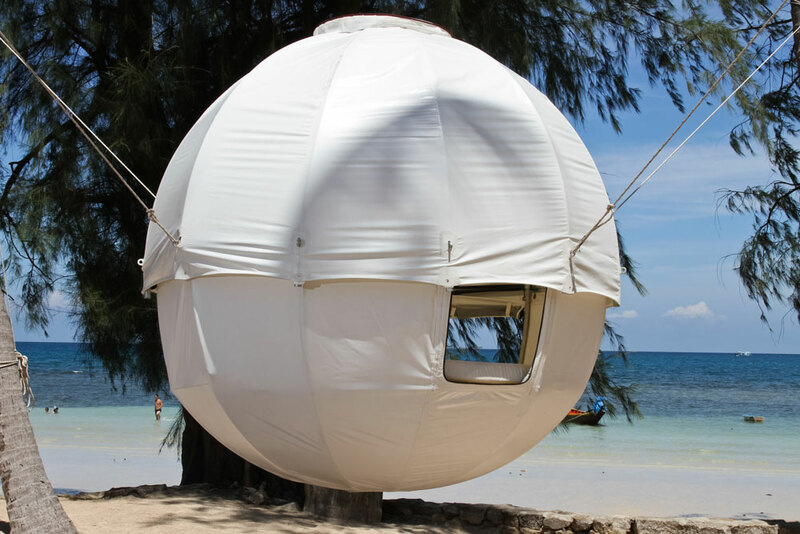 The spheric tents of CocoonTree! 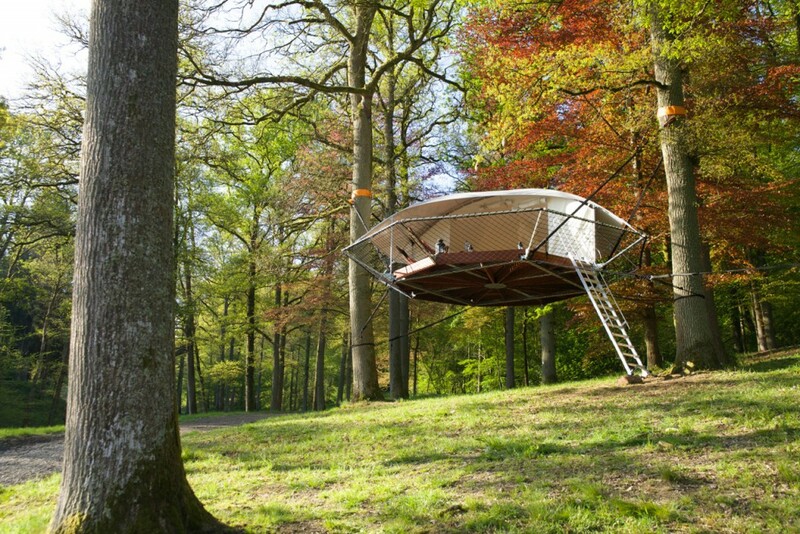 The mobile version of a treehouse, spheric and weatherproof. 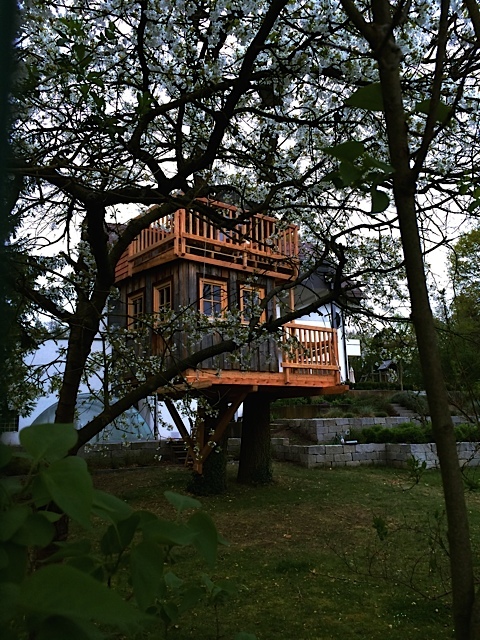 You can set up and hang it everywhere you see enough steady branches above yo..
Just before the end of last year we built this little treehouse in the Stuttgart area around a pear tree. The porch on the one side with a.. 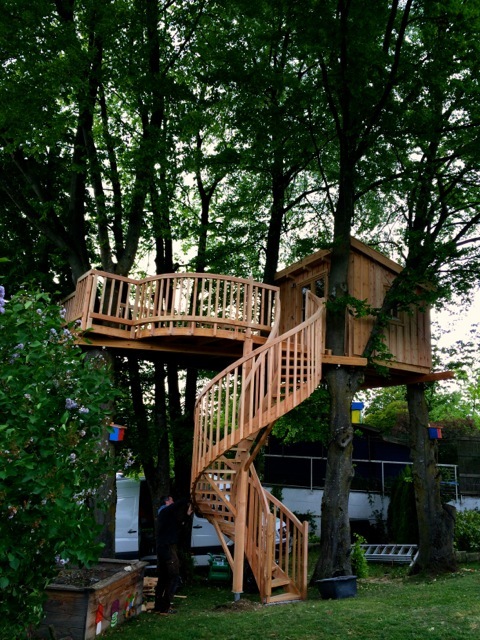 The treehouse from the last post is completed! Inside, a bunkbed is waiting for visitors. 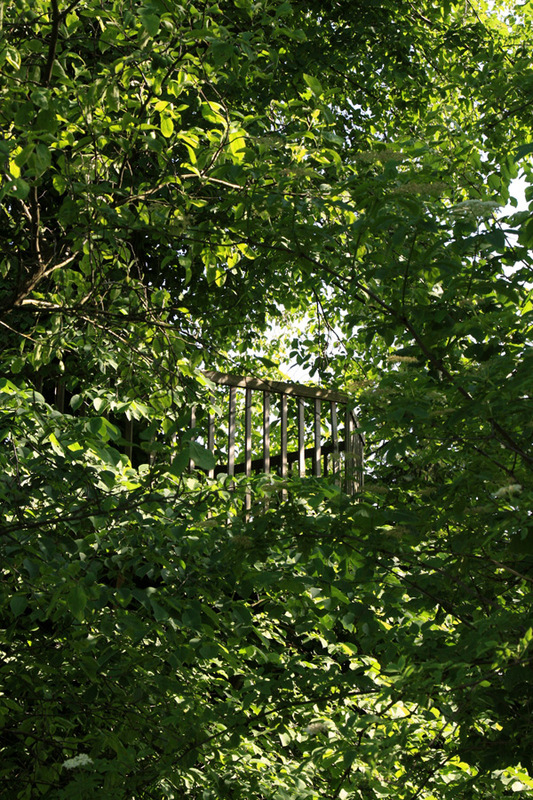 Bedded in soft blankets with a view in the trees..
A new treehouse is under construction! 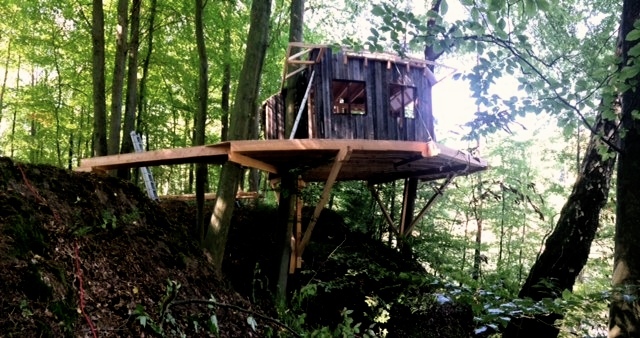 One hour south of Hamburg, at the banks of a little private swimming lake we are currently working on a new treehouse. Perched between two.. The “MS Unicorn” is ready to set sail! 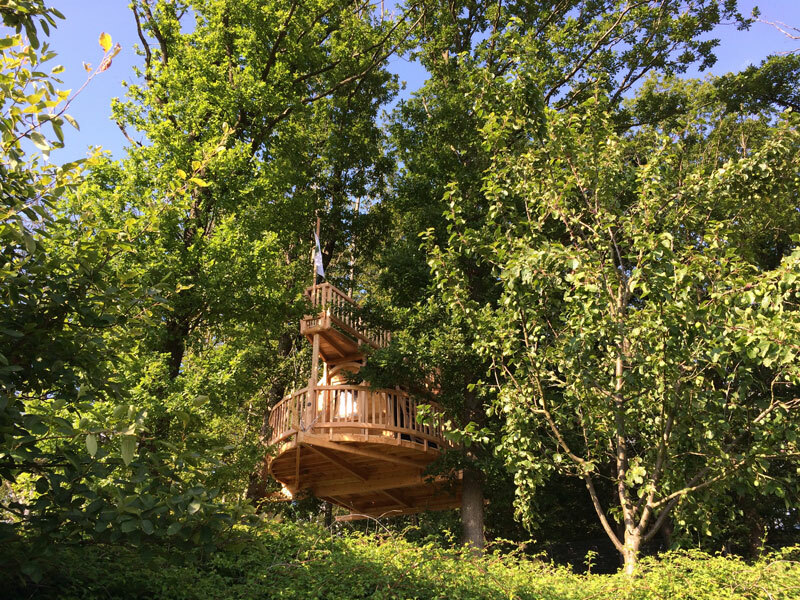 We’ve just completed the work on our latest treehouse! Climb up the net, similar to a sailing ships shrouds, to the main deck and go up th.. 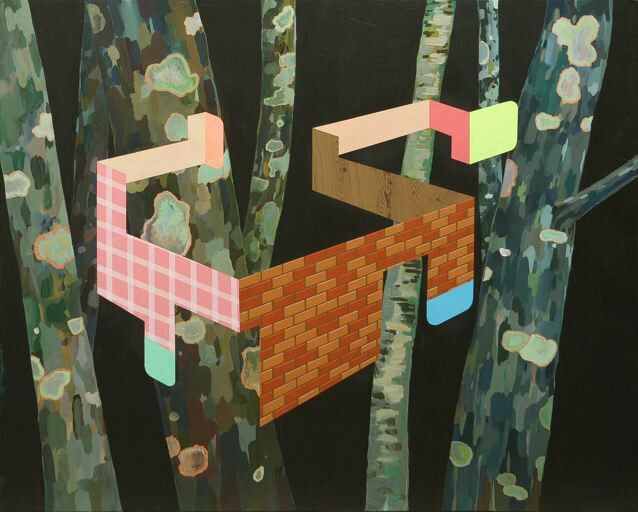 This is part two of the treehouse interviews, part one being Moki. 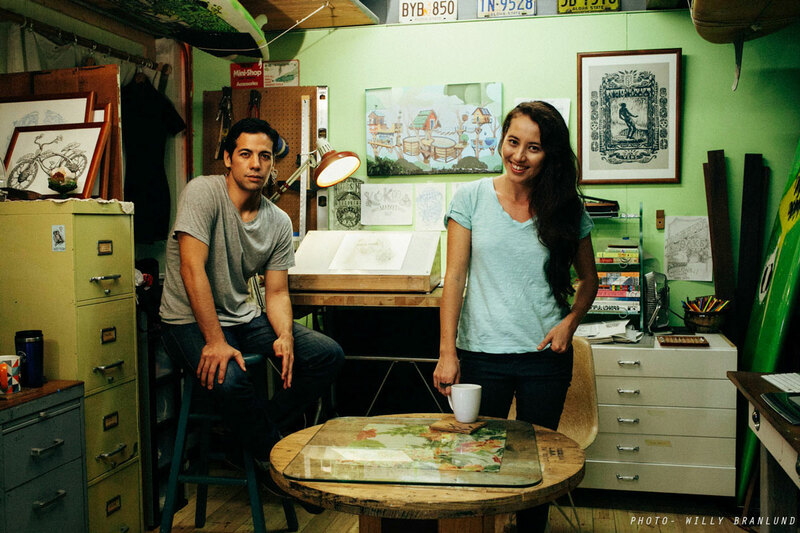 Matt & Roxy, whose work was featured here on this blog, now took the ti.. I just came back from my tour shooting pictures for our next big project! Last week I traveled hundreds of kilometers all across Germany and Switzerland, to take pictures of our most stunning treehouses. There is..
Our family has grown again! We just built this nugget for a family with two children close to a lake in bavaria. 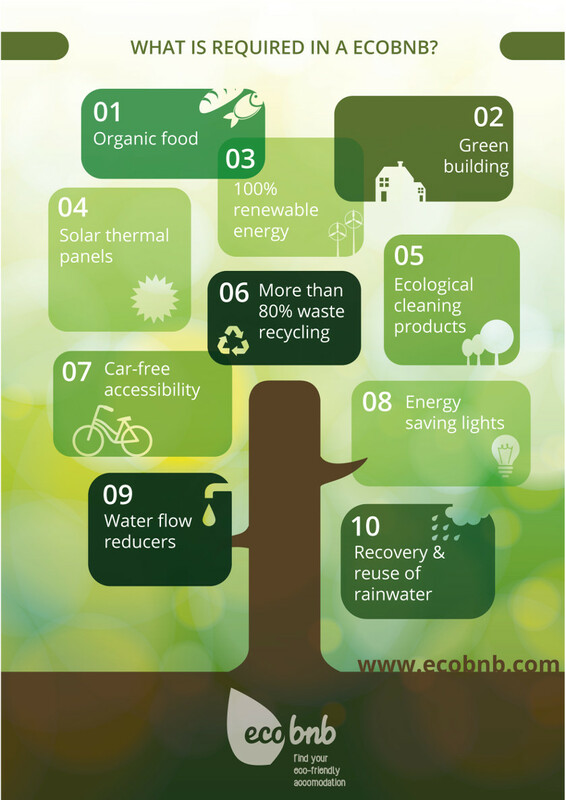 Supported by four beech trees it comes with a big pla.. 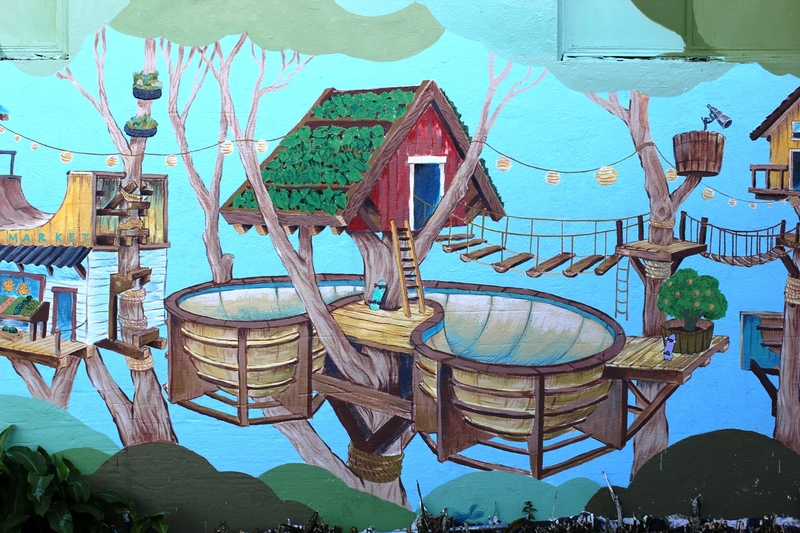 The paintings of this creative couple from Hawaii seem to have emerged direct..
the new book from Pete Nelson, author (besides others) of Treehouses of the world and New treehouses of the world, is on shelves! Like in ..
Our latest little project, just finished! 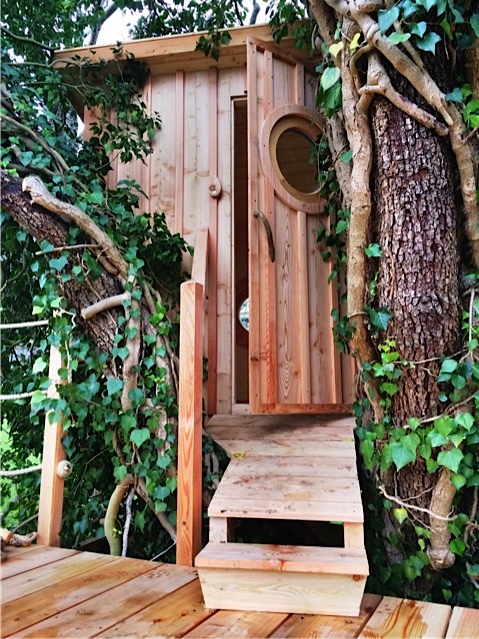 Last week we built this little gem for two boys, 4 and 7 years old. We re-used some weathered larch wood siding. 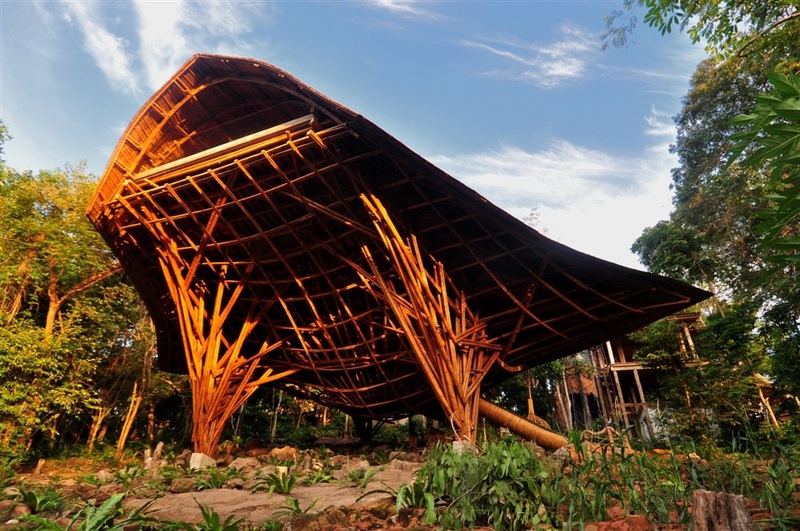 Sustainable treehouse bui.. 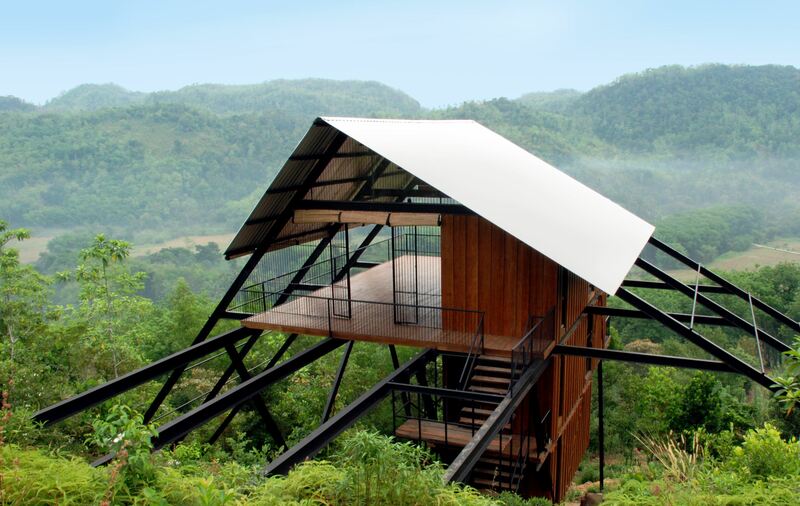 Designed by architect, Narein Perera, and perched atop a raised terrain between the end of a rubber plantation and the beginnings of a spr.. 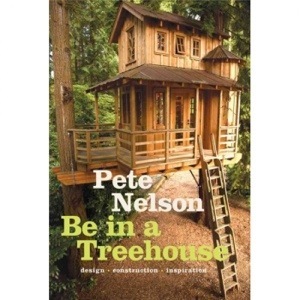 This artist from Brasil also seems to feel the urge to build treehouses. Only he doesn’t do it in the forest using wood, but on different .. 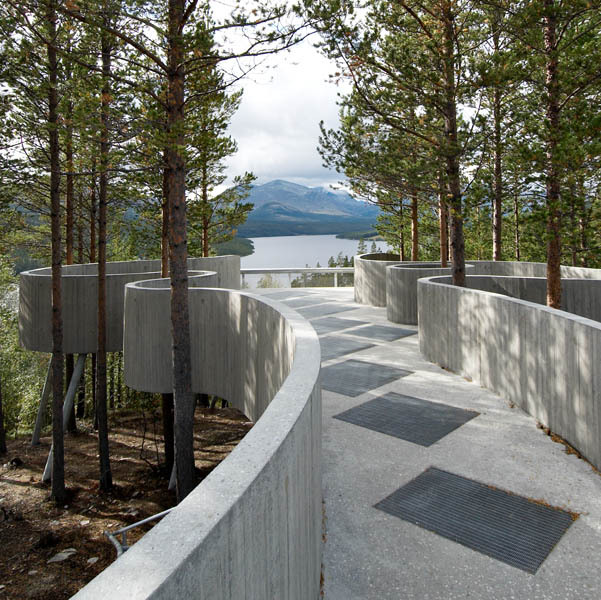 The Norwegian painter Harald Sohlberg (1869-1935) stayed in the Rondane mountain area for several years to do studies for his most famous ..
For the 6-star hotel resort Soneva Kiri on Koh Kood island in the gulf of Thailand, the 24H>architecture team has raised this giant treeho.. 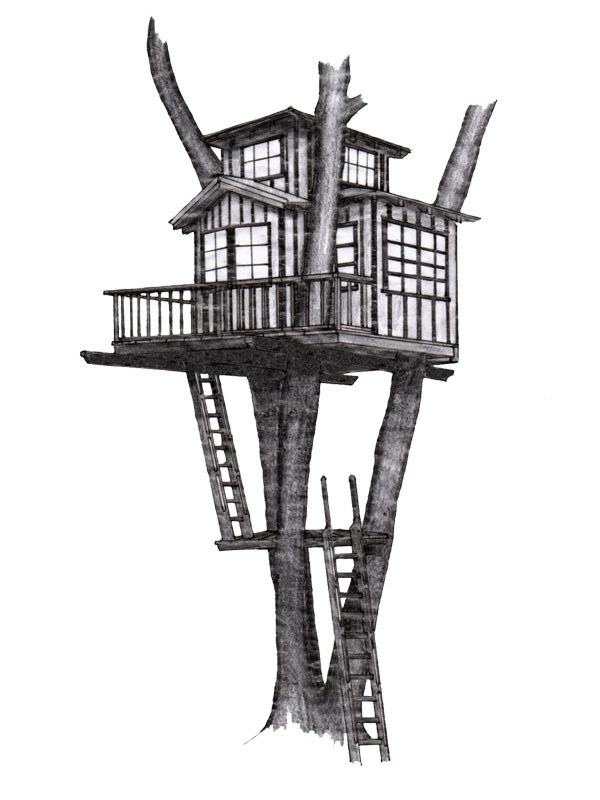 The 22 year old artist Daniel Barreto from Boston, MA has shown me a new type of treehouses which I introduce here. I have to look at them..